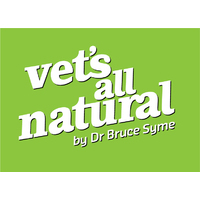 Vet's All Natural pride themselves on providing your pets with a taste of the wild. 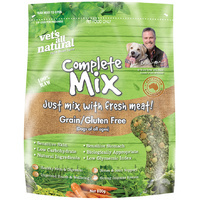 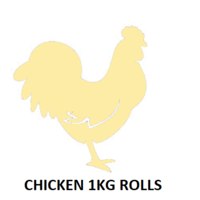 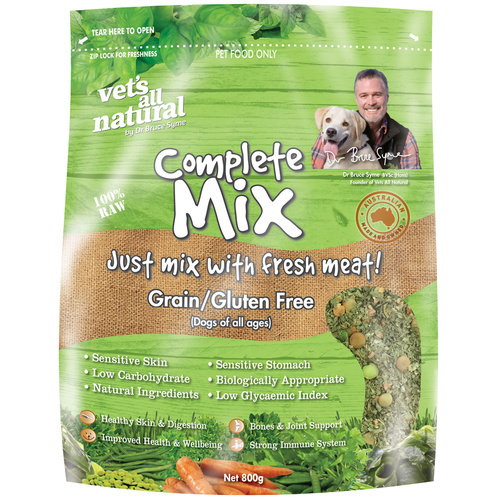 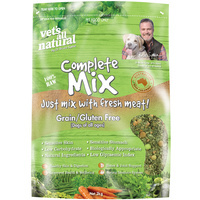 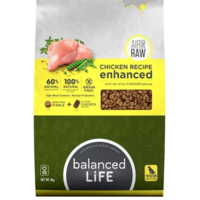 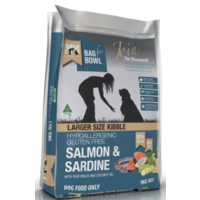 The Complete Mix Grain/Gluten Free mix is an everyday diet solution that can be added to fresh meat to enhance your furry friend's meal. 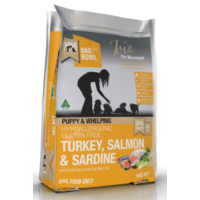 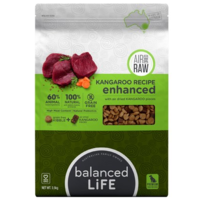 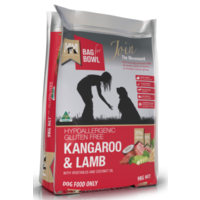 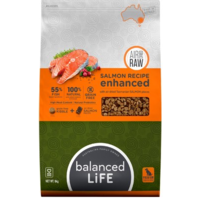 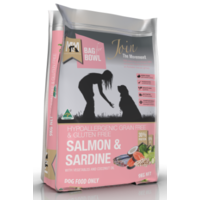 Ideal for dogs who may have ongoing sensitive skin or stomach issues because the mix is balanced with low carbohydrates and equal nutrients. 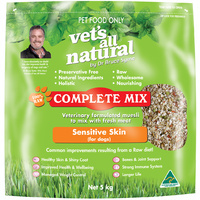 It reduces the risk of gluten related illnesses and is great for pups or dogs with very sensitive skin. 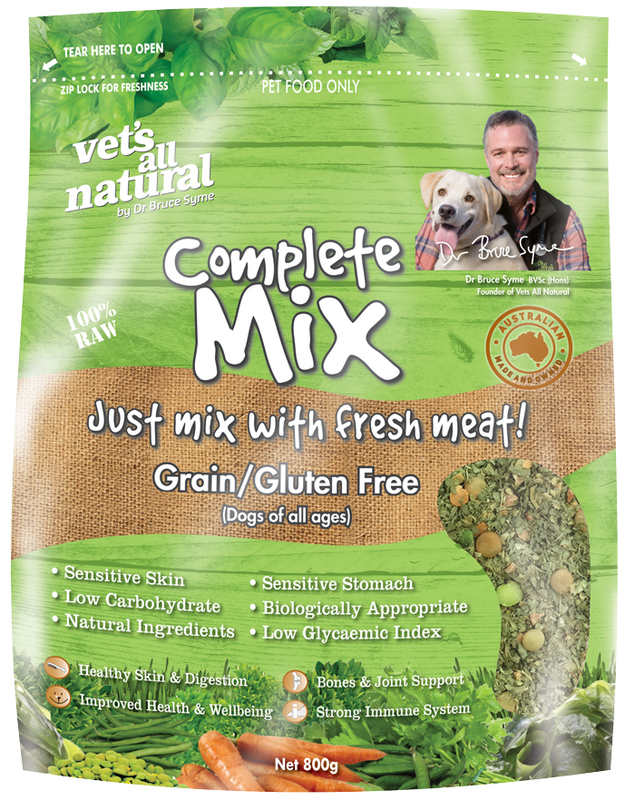 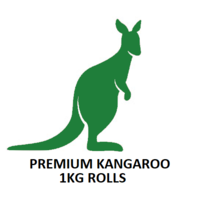 Flax meal, green lentils, red split lentils, carrot, calcium, parsley, potato starch, barley grass, kelp lecithin, dried garlic and vitamin C. List of contents is not exhaustive, if you have concerns about allergies contact the manufacturer.